I found it interesting that when I was pinpointing the inspiration for a particular project, I found that in some cases I was providing information that I wouldn’t have included under the product description. I doubt anything I’ve written will be the deciding factor for somebody browsing the store (sarcasm alert: “oh, I must buy this now – she says it was based on a project she took part in! Wow!”); but on a personal level, I’m always interested in the ideas behind projects, and an item with a story is always more interesting to me than one without. And also on a personal level, it was a bit of a trip down memory lane figuring out what was my jumping off point or starting brief for some of the older projects. I’d totally forgotten some things until I set my mind to it. So anyway, if you’re like me & curious about where an idea began, take a browse around the Folksy TangleStore*, and while you might not learn anything earth-shattering, you might learn a few ir/relevant and/or random extra details that you otherwise might never have known. As you may have already noticed 😉 I decided to go for another blog re-design to match the new Etsy header. I liked the green of the old blog but I love that I could totally kraftify the background of this one – I feel much more at home here! Still a few minor tweaks needed to finish off, but I’m definitely liking the new look. I have also revised all the Etsy pricing into £ sterling so that I can stay on the right side of fluctuating exchange rates. Previously, all prices in the TangleStore were in US$ even though I am in the UK – which obviously, now I come to think about it, did not really make a lot of sense! The prices you see on Etsy from now on will be a conversion from £ sterling into whatever currency is local to you (according to your own Etsy settings), based on current exchange rates. You may notice minor variance in price on one or two items, but I have kept things as close as possible to previous pricing, so differences should be minimal. 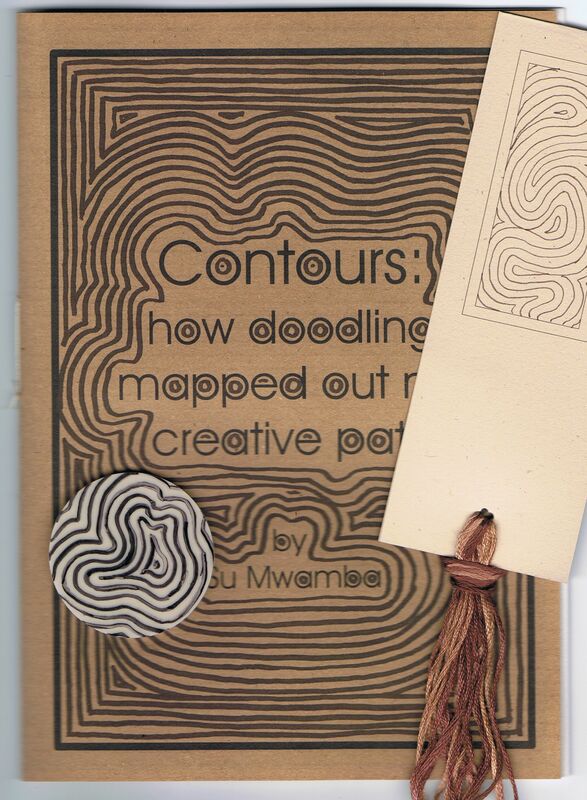 The first is ‘Contours’, my first art zine, which is all about doodling. This is where my brief encounter with Zentangling led me. I suddenly realised how the majority of the patterns I have designed as an adult all stem from one basic doodle that I used to doodle all the time. The zine looks at how that doodle has emerged in the various crafts I have worked in, considers the possible origins of the doodle, and leaves lots of spaces for you to doodle away to your own heart’s content. As you can see from the photo, there are some extras included – hand-doodled bookmark to stitch, and a hand-doodled ‘fingerprint’ of lino to carve & print. 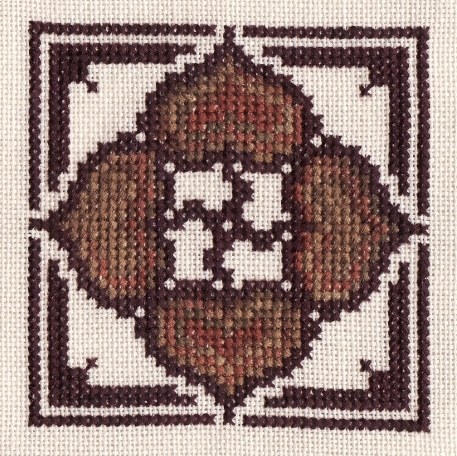 Inside the zine you will also find a 4-way Acorns cross stitch chart, Bobbin Along freeform bargello pattern, plus 4 postcards (2 printed, and 2 blank for you to doodle yourself) printed on gummed paper, so that you can turn any piece of scrap card into a postcard, (these come with 4 postcard reverse labels which could also be used as envelope re-use labels, if you prefer). Check out the TangleCrafts Etsy Store for more details. Hot on the heels of Papertrail #1, you can now also find Papertrail #2. Papertrail #2 is a zine full of questions and books and reading habits, with answers/opinions from me, Corey, and spaces for your own responses, too. It’s all about books, and how we live with them. 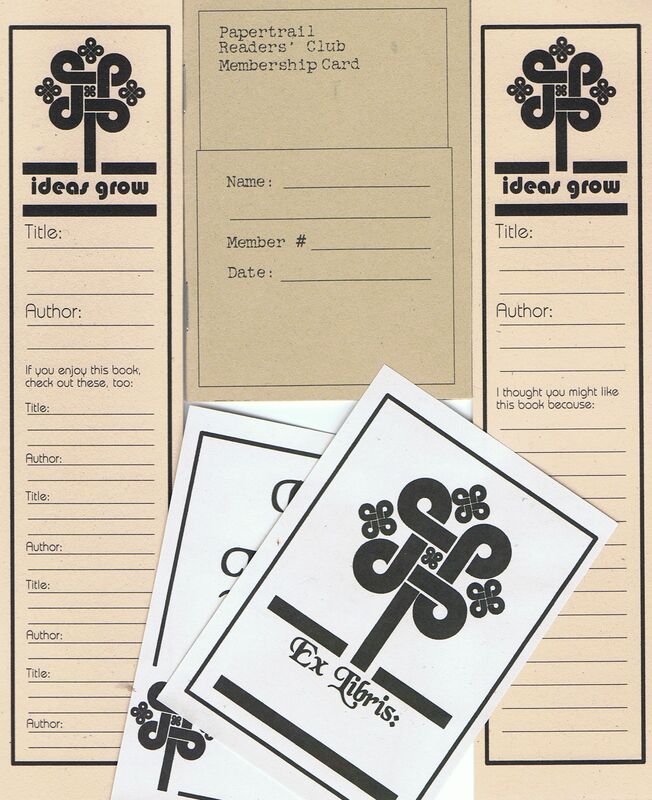 Alongside everything else is a Papertrails ‘map’ of routes you can take from novel to novel, spaces to design your own book jackets, plus copy-&-cut bookplates & bookmarks. 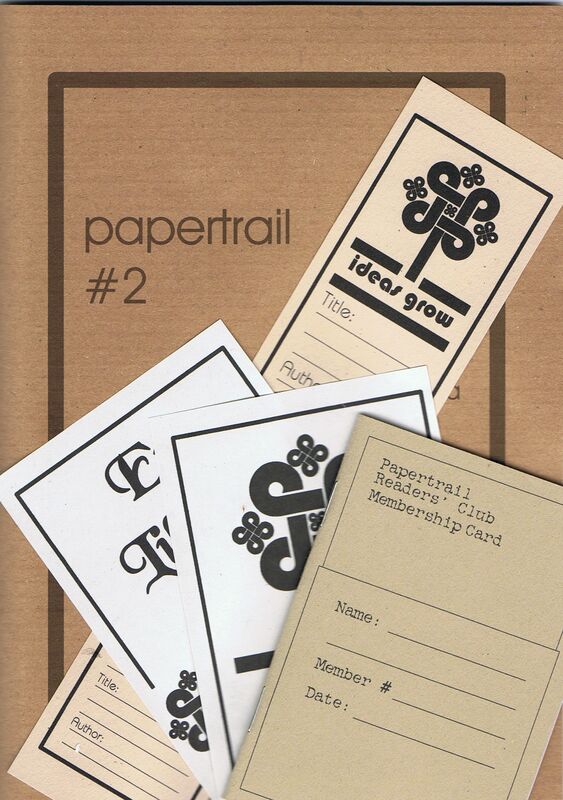 And as if all that wasn’t enough, Papertrail #2 also includes a free membership pack for the Papertrail Reader’s Club! 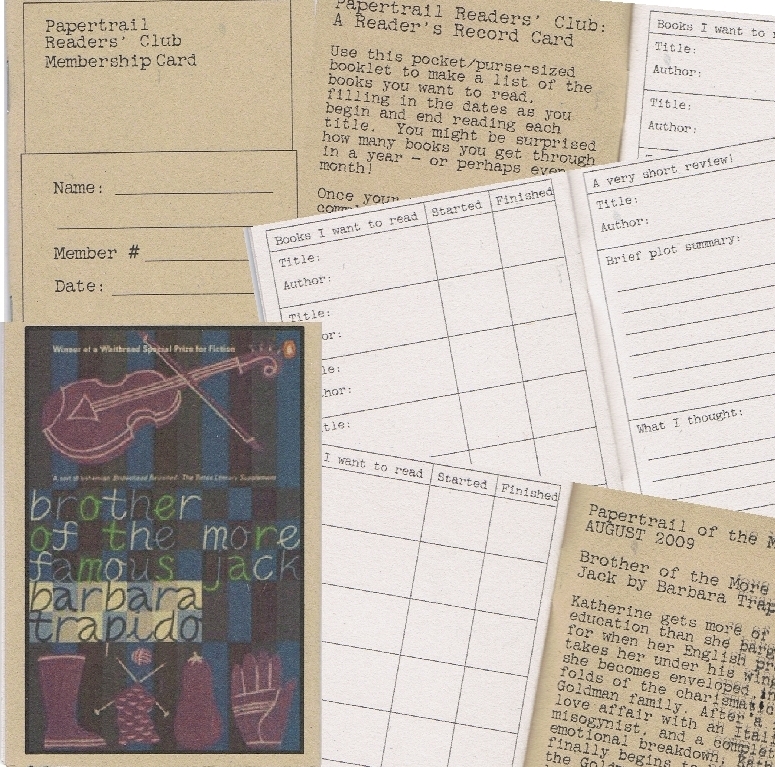 The Papertrail Readers’ Club Book is a membership card and reader’s record book combined! 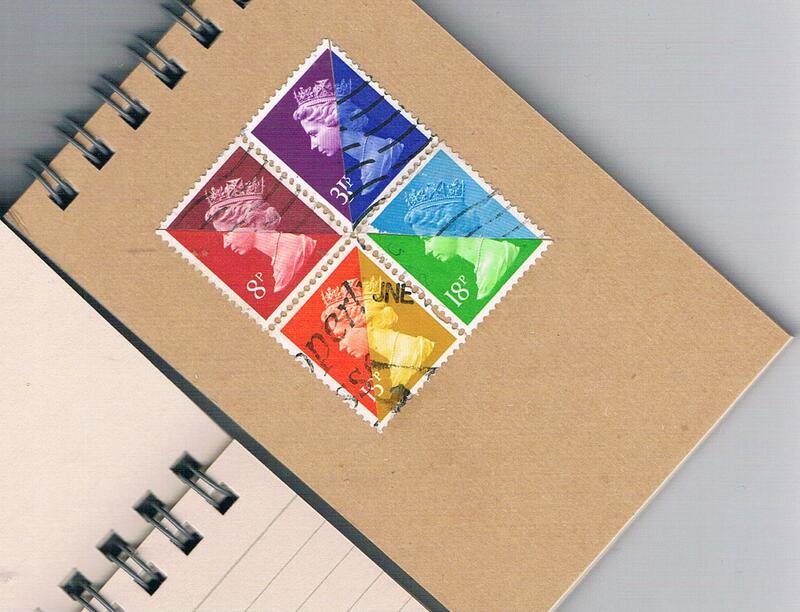 It is a 20 page, staple-bound mini-booklet, printed on high quality recycled sugar papers. Each book will be personalised with your name and membership number, and date stamped with the start date of your membership. It includes spaces to list all the books you want to read alongside dates started & finished, and there are even pages to fill in with your own mini-reviews! Each month, a different book is chosen as a feature title, with review printed inside the back cover. Club members are eligible to submit their own reviews of the club titles which may earn them a free Papertrail zine! If you buy any issue of Papertrail, you will receive free membership to the Reader’s Club, including the current month’s club review. 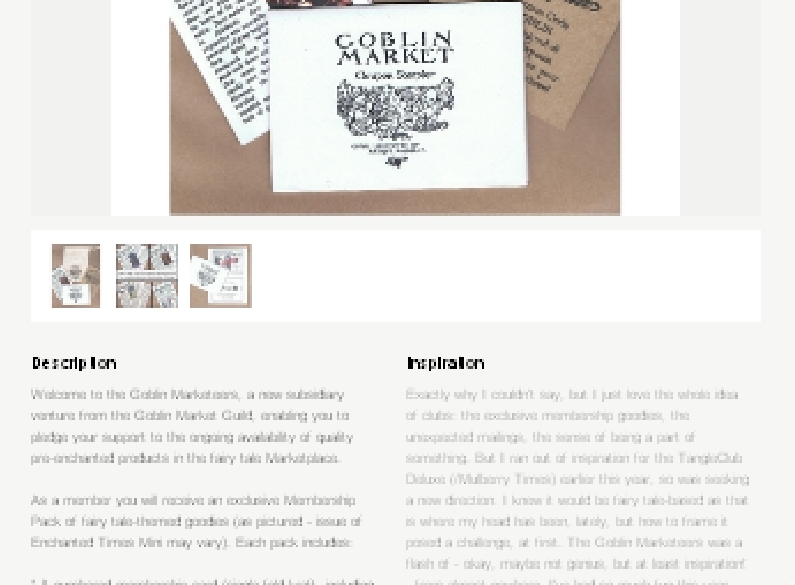 If you don’t want to buy the zine, you can still buy a one-off membership to the club with a Basic Membership Package. And if you fill your record book quickly, or just want another, a Renewal Membership Package is available at a reduced price. Told you I’d been busy ;-). And this is just the tip of the iceberg! 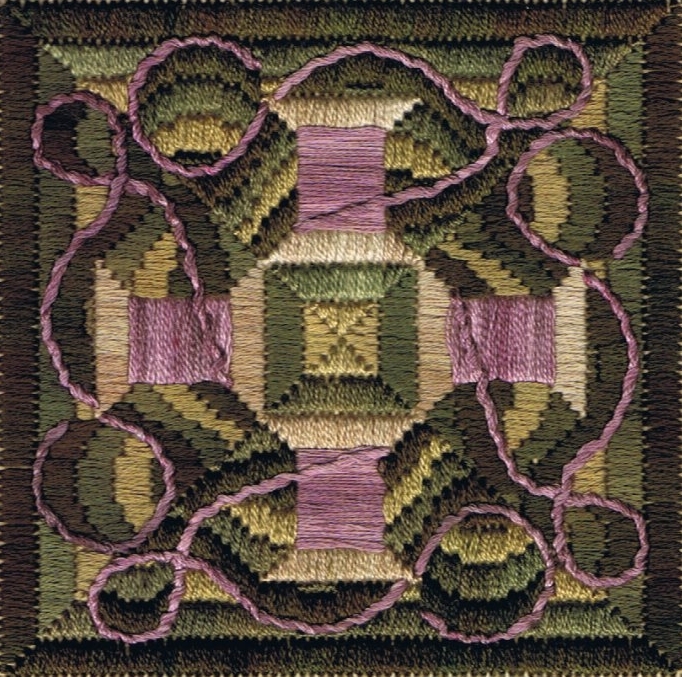 Posted on August 9, 2009 September 3, 2009 Categories Charts, Counted Thread, Cross Stitch, design, Freeform Bargello, hand-carved stamps, Inspiration, Mail Art, notebooks, Printmaking, Reviews, Stitching, ZineTags Bargello, books, Cross Stitch, design, doodling, linocut, notebooks, Printmaking, Reviews, zinesLeave a comment on A quiet week? Corey is away for the weekend, so I am luxuriating in having a couple of decadent evenings to myself. What am I up to? Well, I’m about to make myself a cheese & pickle sandwich, and am otherwise having an evening off from ‘work’ and just browsing online. That’s very rare! And after I’ve made my sandwich, you know what else I might do? I might actually switch off the laptop and read a novel for a couple of hours. I’ve not done that for ages! I know what you’re thinking: this girl’s life is just one long, endless party… No? Yeah, I know; it’s not the most exciting evening I’ve got lined up, but I’m looking forward to it, anyway. Oh yes, nearly forgot the reason I stopped by here! The reason was ‘Zentangles’. I suspect, as with most things, I am way behind the times with this one, but just in case you’re in the dark like I was, it appears to be ‘doodling with intent’ (rather than in absentia) – hence the zen part of the name – and then (because they do look pretty cool) calling them art. It’s not just the ‘tangle’ part of the name that attracts me (honest). I had a flick through the gallery (see pic, right) at the official website, and a lot of the patterns just reminded me of the kind of doodles I actually do. Therefore it didn’t strike me as something that would take an enormous leap for me to grasp the gist of. And looking through the gallery, I also thought the black & white patterns would lend themselves well to relief printing. I’m feeling slightly more confident in my lino-cutting skills these days, but drawing isn’t really my thing, and I hit a kind of stumbling block (no pun intended) in terms of new projects & design inspiration. If I can get away with adapting my doodles, I will be very happy! Now, the Zentangles website gives lots of background information about how great & therapeutic it can be for the soul, and all that kind of new age stuff, but it’s very thin in practical advice when it comes to getting started – mainly, I would guess, because they sell a $50 starter kit, and they want people to buy it, rather than think they don’t need it. Personally, I would rather test out the principles of the concept before shelling out $50 on yes, very nice, high quality materials, but really not essential to the practice itself. Having said that, the website does include a free online newsletter which gives clear guidance on ‘learning’ particular filling patterns, and where to find doodling inspiration etc. 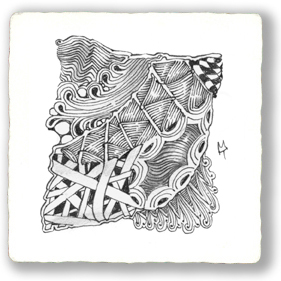 But if, like me, you read through the website and can’t quite see how to get started, you might also appreciate these posts on Crazy Art Girl’s site, which demonstrate a beginner’s zentangle from start through to completion. It really clarified the concept for me, anyway. Oh, one more note ‘Zentangle’ is a trademark name, and I think refers to the method they use to teach the Zentangle doodling technique (hence $50 for starter pack). However, you can also find references to similar stuff with a google search for the more general ‘zen doodle’. There are ‘zen mandalas’ which are similar, too.